Letterman Jackets are a great way to commemorate all you or your student achieved during their high school career. Creating custom jackets has always been an amazingly important part of our work. We absolutely love the look on a students face when they see their completed jacket! Every Jacket we create is Fully Custom, from the back art work, down to the color of the buttons! 1. We ask that you and your student come by the shop during regular business hours (or request a Saturday appointment) to try on sample sizes to begin this beautiful journey. 2. During the sizing, we will check for suit size, arm length, body length, then help them through the color selection process. Your student gets to choose the body color, arms color, cuff striping and colors, pocket color, and snaps color. 3. Once the Jacket is ordered and arrives at the shop, we will call you back in to try it on and make sure it is exactly what you hoped for. From there, were will discuss patch placement, your students achievement list, back lettering, and back design. Please feel free to stop by during business hours to being working on your Letterman Jacket! Each Design Cost is based on Stitch Count. This can fluxuate based on size of the students jacket, spacing, adjustments, additions, etc. The RHS Mustang at 6 inches has fewer stitches than a 9" Mustang. Because of this, we can only quote the cost of the custom jacket back design set up, altered, and scaled to your students jacket size. We know this can be quite difficult to have such a special and important aspect of your students jacket being so financially fluid! 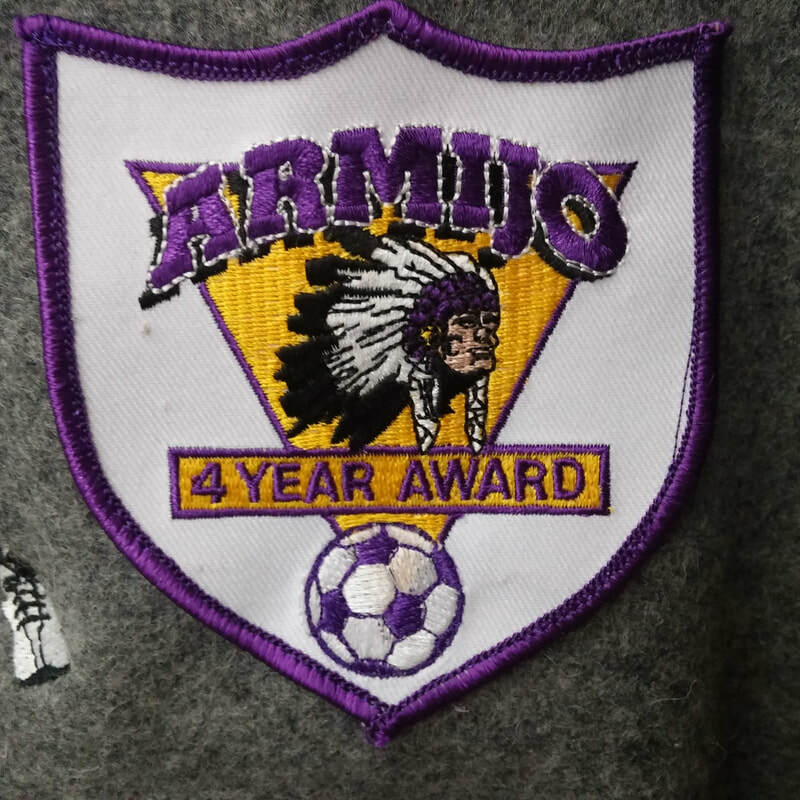 This is why it is very important to have a set idea of which designs and placements for your students jacket back ready to give us when you return to discuss letters and patches placement! ​Thank you so much for your patience!!! We have a Small Over Stock of PreMade Letterman Jackets up for grabs at a discounted price!!! Check out the list or Come by the shop to claim yours!!! This is my favorite example to show our clients when they are formulating their design plan. 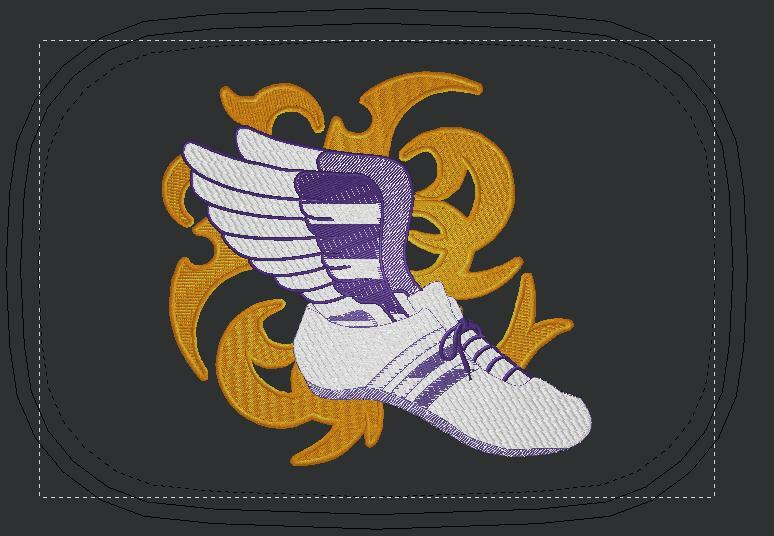 For your jacket, you can pick from our batch of previous designs, alter them to meet your dream, pick from DakotaCollectables.com, or bring us an image/drawing/picture. Yes, a PICTURE! 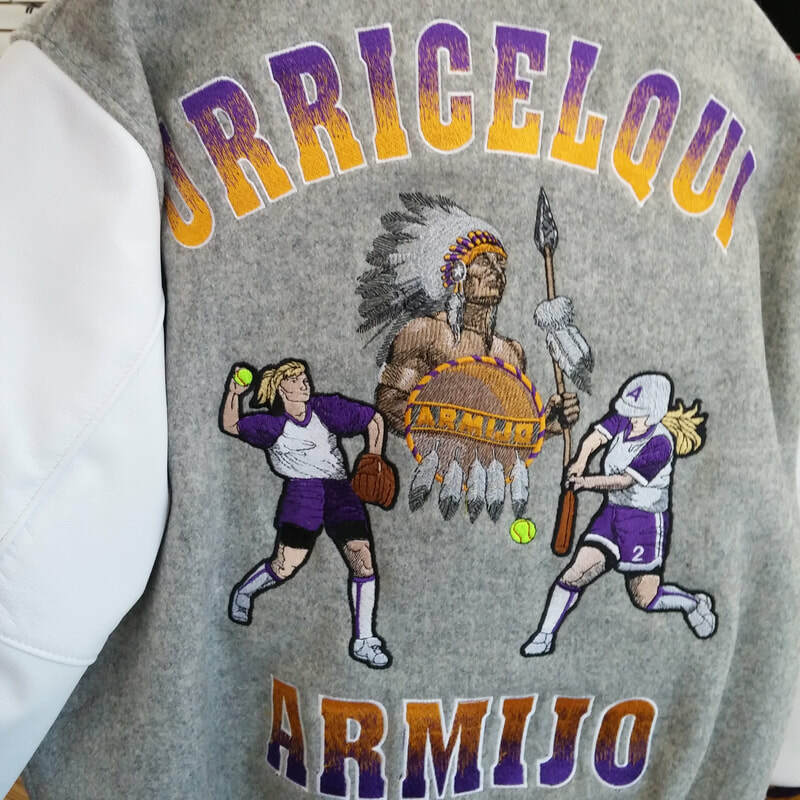 This young woman's jacket back is a digitized embroidered version of her senior picture. She brought us her picture, asked to trade the wall for a giant megaphone. We can and did do just that! ​Please feel free to bring us literally anything! This is YOUR jacket. This is the culmination of your school career, your achievements, and your individualizm! Interested in Starting Your Jacket? 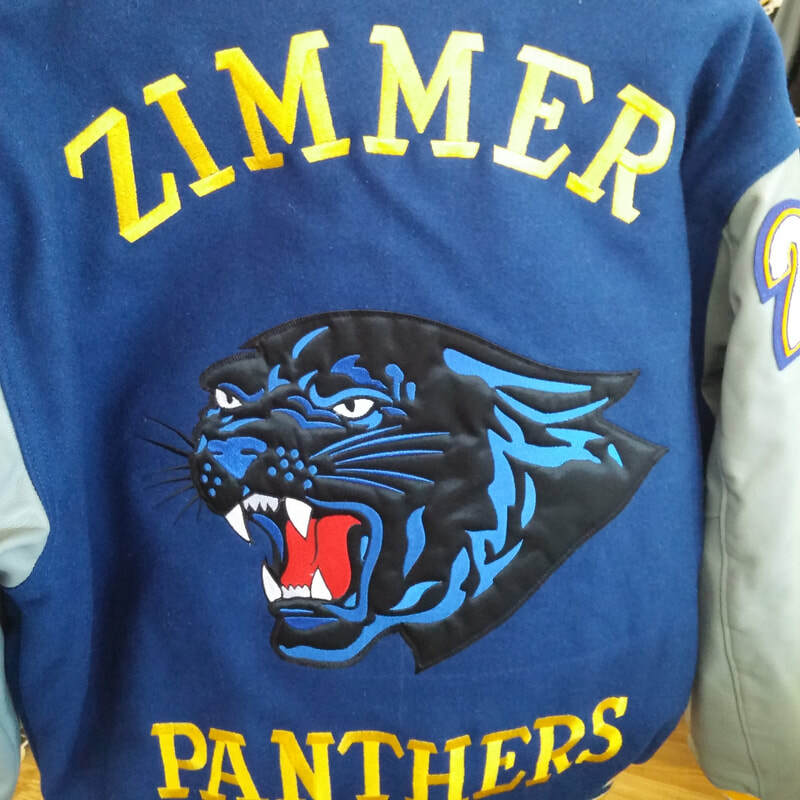 ​We can customize a jacket to fit Any High School colors and traditions!